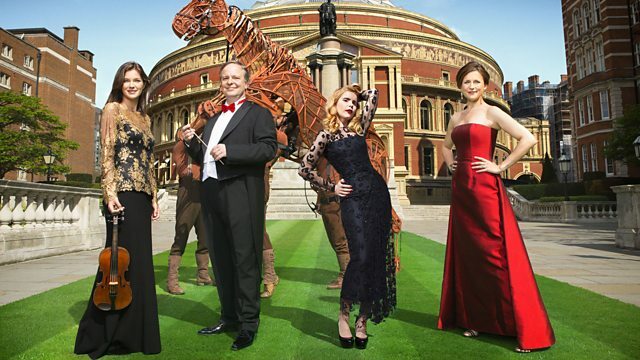 Live from the Royal Albert Hall, BBC Singers, soloists and the Royal Liverpool Philharmonic under Vasily Petrenko. Strauss: Festival Prelude; Deutsche Motette; Four Last Songs. Two rarely heard works continue our 150th-anniversary celebration of Richard Strauss. Scored for organ and an orchestra calling for no fewer than 10 trumpets (six offstage), the Festival Prelude packs symphonic weight into its brief duration. It is matched for impact by the Deutsche Motette - a concerto for choir by any other name: its vocal lines trace the same expansive arcs and arabesques as the composer's exquisite, autumnal Four Last Songs. Maintaining the mood of late-Romantic nostalgia, Elgar's Second Symphony delights in flexible chromaticism, its shifting moods coloured in delicate shades. This Prom will be repeated on Monday 4th August at 2pm. Conductor: Vasily Petrenko. Performer: Royal Liverpool Philharmonic Orchestra. Performer: BBC Singers. Conductor: Vasily Petrenko. Performer: Royal Liverpool Philharmonic Orchestra. Conductor: Vasily Petrenko. Performer: Royal Liverpool Philharmonic Orchestra. Performer: Inger Dam-Jensen.